I may have a slight shopping problem. My secret addiction? Books! But not just ANY books. Books that have been well designed with chic color palettes and cute graphics. Not those children's books that sort of make you want to jab a pencil in your eye because of the gaudy, loud colors and busy graphics. Like, coffee-table-worthy books. Ones that I like to display in my home like pieces of art. I can’t get enough! 1. Nature Anatomy, Farm Anatomy, and Food Anatomy, all by Julia Rothman. I bought Nature Anatomy last year, and we look at it so much that I decided to complete our collection with the other two. 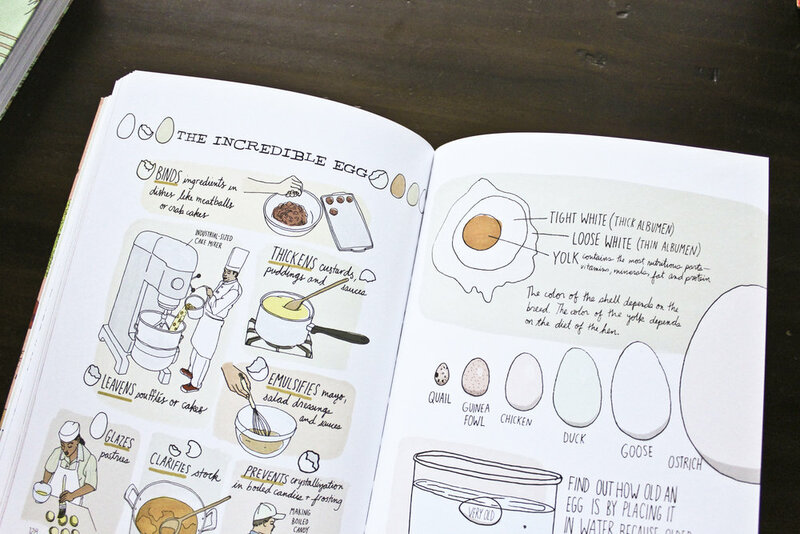 These hand-sketched illustrations are perfectly paired with useful information. My kids and I love to take the Nature Anatomy book on our hikes to refer to whenever we come across a new plant or insect, and it never disappoints. And since our family has so many food sensitivities, food education is HUGE for us. The Food Anatomy book makes learning about food and nutrition fun! The cheapest I’ve found them was on Amazon here. If you buy them separately, they are actually a few dollars less than if you buy the boxed set! 3. Atlas of Adventures and 4. Atlas of Animal Adventures, both by Rachel Williams and Lucy Letherland. Since Liam is only in kindergarten, we aren’t required to study geography, but one of our family values is teaching our children to appreciate other cultures and ethnicities and to be well educated about the world. In one of our preschool-curriculum books last year, we read stories from different parts of the world, and we would study each location further using these two books, which led to some pretty interesting discoveries. My boys literally can sit and look at these for an hour at a time! Unless you can find them used (which I had no success with), they are almost half the price of retail bookstores on Amazon.com! 5. The 50 States by Gabrielle Balkan. We’ve started this summer learning all about Alabama since it’s our home state, and this book has sooo much information, demonstrated with the cutest illustrations! It’s sparked a lot of conversations with my son. We even got the accompanying activity book (click here to find out more)! Even though I'm selective about books, I'm somewhat of a cheapskate. Whenever possible, we check out books from our local library or frequent used bookstores to find books for our home. Where I make an exception is for heirloom-quality books such as these, when I know that all three of my kids (and Kelley and I) can enjoy and grow with these for years; there's always something new that stands out to us every time we look at them, and one day we'll share them with our grandchildren.